At the start of summer, I stumbled across a can’t pass up opportunity to explore Peru and Machu Picchu. Not only was it right up my adventurous alley, but the trip dates coincided with the 4th anniversary of a very special and life changing date for me, September 27, 2009, where I was severely injured by a nearly 1,000 pound tree limb, breaking my neck. There would be no better way to celebrate that I’m fully recovered, stronger, and with a true zest for life than to experience Machu Picchu and discover its mystique. Although, I lucked out on the weather and had that unforgettable first view, I wanted to witness and feel the place when the majority of the tours had left for the day. So, in the mid-afternoon, I walked up to the casita (little house) overlook and continued up on the Sun Gate Trail. This is where the top of the world feel took over. It was powerful and glorious. Plus, because the crowds were gone, I ran into my Andean friend, the alpaca. The next morning at a very early hour of 4:00am, I awoke to drizzle and a valley of hanging clouds. However, never to fear, it was a YOLO moment. There was no stopping me, even rain, from putting on my hiking boots, gearing up for another day, and grabbing some coca tea and refueling snacks for the sunrise over Machu Picchu. By 5:00am, I along with other adventureros were waiting for the buses to go up to Machu Picchu. After arrival, I perched myself with friends at the Sun Temple, which is a high, East facing structure close to Huayna Picchu. To our good fortune, not more than a couple people walked through, making the experience very private and despite the lingering cloud just dream-like (see below). At 7:15am, the sun burned through the clouds over the high mountain peaks to unveil another sunny and warm day for my finale of my first Machu Picchu visit and celebration, climbing Huayna Picchu. Only allowing 400 people a day to climb, Huayna Picchu is a 2-hour hike round-trip from Machu Picchu up a series of steep stairs and terraces leading to an overlook. It is a challenging hike because of the elevation, rocks, and many stairs. Not used to the elevation, I needed to stop every 20-30 steps or stairs to regroup. It is a real puffer of a hike, but it is very much worth it. Once I arrived at the top terrace, I marveled at the view of Machu Picchu now looking much smaller from a bird’s eye view. 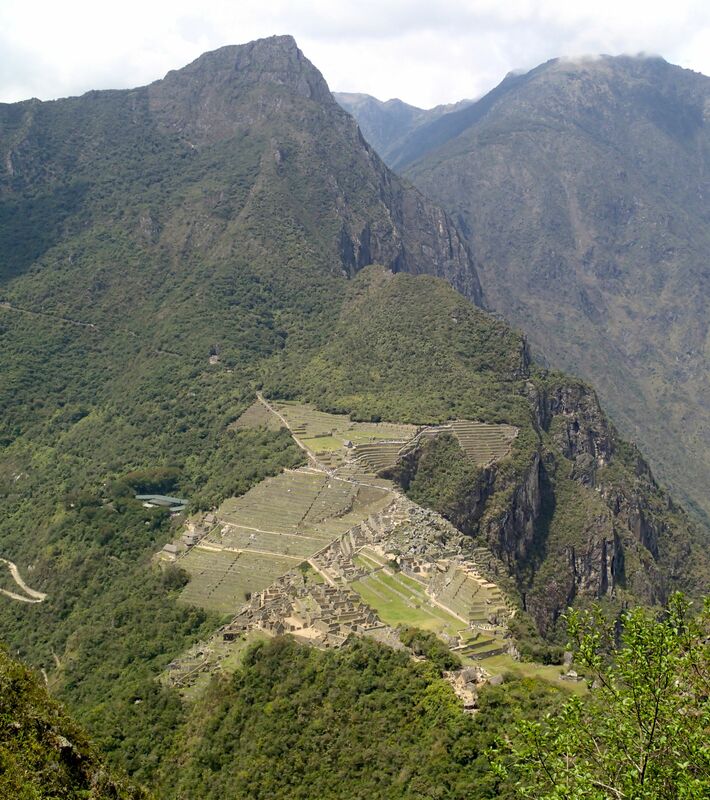 However, I had to remember that many of the rocks used in the creation of Machu Picchu were my size. 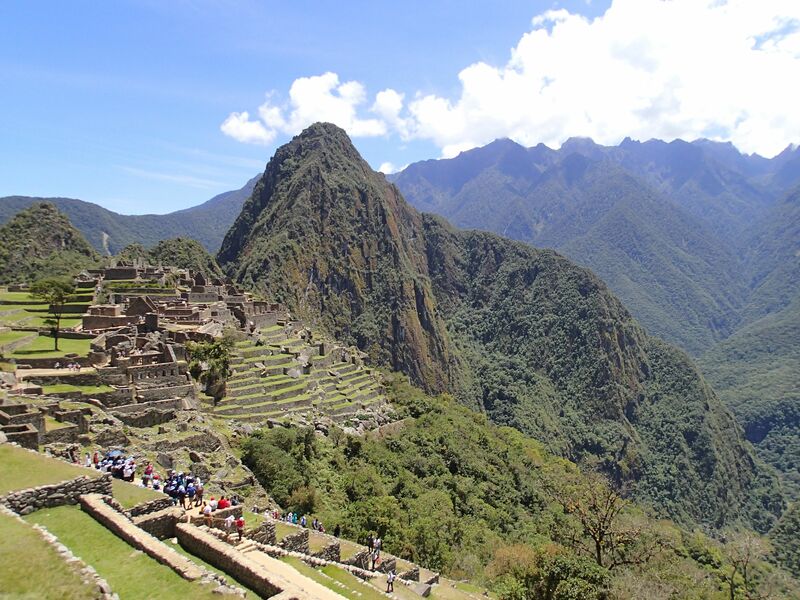 If Machu Picchu is on your bucket list, get to it! If it isn’t on your bucket list, well shame on you. Add it! It took my breath away! 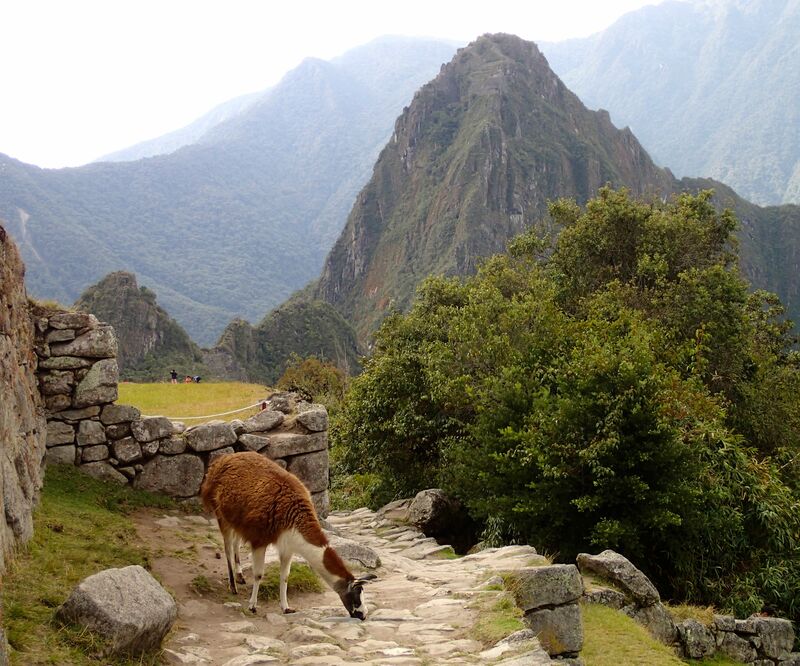 If you have visited Machu Picchu, please share your stories. 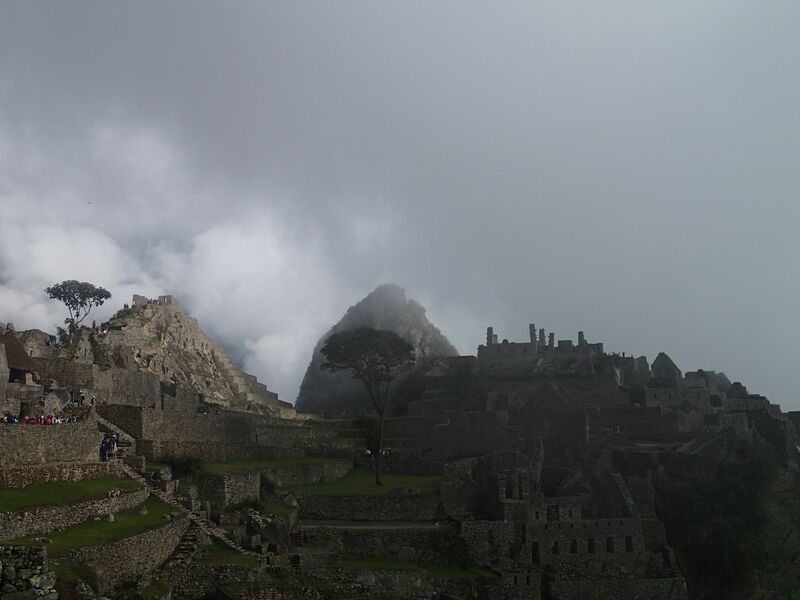 They will be inspiration to others that haven’t experienced Machu Picchu as well as a way for those that have to rekindle that magic, mystique, and breathtaking beauty. Stay up-to-date on more adventure travel stories and tips from Peru, Cuba, Finger Lakes, Berkshires, Minneapolis, Quebec, and more by connecting with me on Facebook, Twitter, Google+, and YouTube.